Eastleigh have announced the signing of 31-year-old former Portsmouth and Bournemouth midfielder Danny Hollands. Danny will join the Spitfires once his current contract with Crewe Alexandra expires. Hollands wanted to move back into the area where he lives with his wife and a triplet set of five-year-old girls. Hollands started his career at Hampton & Richmond Borough before moving on to Chelsea, Torquay United (10/0), AFC Bournemouth (193/24), Charlton Athletic (57/7), Swindon Town (10/2) and Gillingham (17/1). 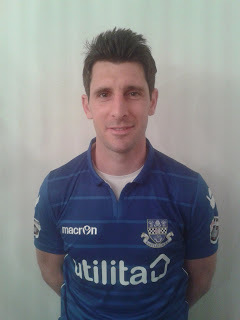 Danny becomes Eastleigh's second summer signing having already signed striker Paul McCallum earlier this week. Eastleigh have agreed terms with 23-year-old Leyton Orient striker Paul McCallum. McCallum will join the Spitfires on a two-year deal and link up with the club for the beginning of pre-season next month when his Orient contract expires. 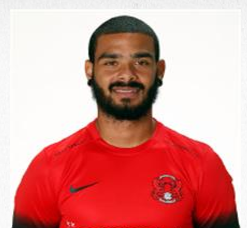 Paul McCallum signed a two-year deal with Leyton Orient in June 2015 following his release from West Ham United. The 6 ft 3" forward started his career at Dulwich Hamlet and made his first team debut for the club at the age of 17 in October 2010. He played an integral role for the youth team that season as they reached the third round of the FA Youth Cup where they faced Newcastle United having defeated Yeovil Town in the previous round. His performances attracted interest from a number of Premier League sides and on January 31 2011, McCallum made the decision to sign a professional contract with West Ham United. Eastleigh have made centre back Ayo Obileye, midfielder Ross Stearn and left-back Chinua Cole available for transfer. 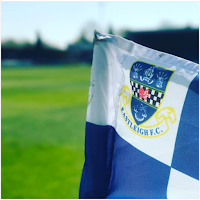 Eastleigh put three on the transfer list RICHARD Hill has got the Eastleigh squad-trimming process under way by transfer-listing three players. Defenders Chinua Cole and Ayo Obileye and midfielder Ross Stearn have all been made available. 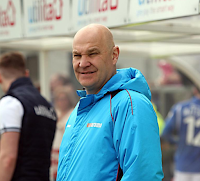 When Hill responded to the Spitfires' SOS call in February, he inherited a mix-and-match squad assembled by the three managers - Chris Todd, Ronnie Moore and Martin Allen - who had followed him into the Silverlake hot-seat in quick succession. Richard Hill confirms that Reda Johnson, Ryan Cresswell and Jason Taylor will all be available for the start of pre-season. James Constable, Michael Green and Craig McAllister have been offered new contracts. Sam Matthews, Ben Close, Hakeem Odoffin, Joshua Barnes and Nick Hall have all returned to their parent clubs following the expiry of their loan agreements. David Pipe, Ryan Burge, Matt Tubbs, Jack Smith, Jack Masterton, Connor Essam and Scott Wilson have been released. Ben Strevens and Paul Reid have been retained for next season in coaching and scouting roles respectively. “£10 million is £9.5 million more than I expected to spend after five years, but I would do it all over again," said Donald. “All the debts the club had and the bank overdraft have gone. “The team that’s finished the season is not strong enough to achieve our ambitions," said the Spitfires chairman. "We were in serious trouble and that was predominantly due to the players that were here. “Richard’s got players on contract potentially signed by three different managers who were all looking for different things. “We’ve got a few players on contract, which will give us a starting point of about 11, but those players may or may not end up featuring. “We will meet our financial commitments to them, but it isn’t a given that they will play. Three of Eastleigh’s bigger-named players – ex-Football League trio Ryan Cresswell, Jason Taylor and Reda Johnson – have missed significant chunks of the season injured. 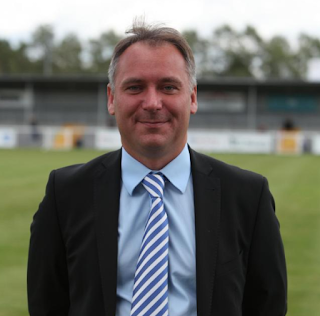 Stewart Donald has revealed that Richard Hill will be the manager of Eastleigh next season with Andy Hessenthaler as his assistant manager. The Spitfires chairman said: “Richard did ever so well when he was here before and he left too early. “Since he went, I’ve made more funds available and Richard has always spent money well. “Hopefully with what’s available to him now, he’ll be able to deliver. “He seemed the logical choice. He’s a good tactician, he knows how to spot a player and he knows the league. “Last time he was here, he didn’t have enough of a team around him with experience and Andy Hessenthaler will bring that as his assistant. "Andy’s our sort of guy. “He’s hard-working, very knowledgeable at this level and above, he’s a good coach and very well respected. "He’s got connections with a lot of London-based players and we’re expecting to pick up a few players from those connections.